The state of Chhattisgarh has many notable tourism destinations and among them one of the most famous temples is the Danteshwari Temple of Dantewada. 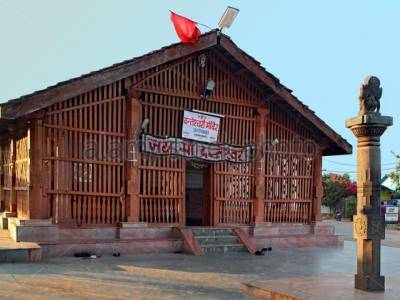 The main temple is located about 84 KM away from the industrial city Jagdalpur in Chhattisgarh. The exact location of the Danteshwari Temple is however at the confluence of the holy rivers of Shankini & Dhankini near the Bastar palace. The temple is very popular among the local people and amongst the tourist also. The principal deity of the temple is Ma Danteshwari, who is believed to be an avatar of Goddess Durga, the incarnation of Shakti. The architecture of the Danteshwari Temple is quite exquisite and the construction is an awespiring marvel. The temple is almost 600 years old and was constructed by the Chalukya Kings of this region during the 14th century CE. This is the main reason for the temple being styled like a South Indian Temple. 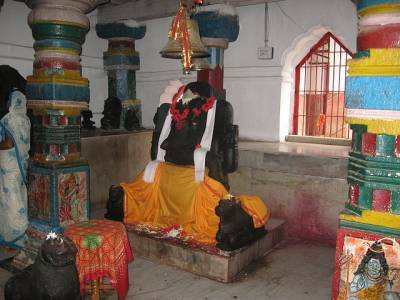 The fascinating fact about the temple is that the idol of Ma Danteshwari is carved out from a pure slab of black stone. The mythological significance of the Danteshwari Temple is very huge. It is considered to be one of the great 52 Shakti Peethas that is scattered all across the Indian sub-continent. According to the myths, it the tooth of Lady Sati that fell here, hence the name Danteshwari Temple because in Hindi dant means tooth. The District Dantewada gets his Name from this Shakti Peetha. The Danteshwari Temple has a unique style of construction with a walled complex, a grand & decorated courtyard, three tiered temple builds with an inner sanctorum. The Garuda pillar at the main entrance of the temple is quite extravagant. The Danteshwari Temple is an easy reach from anywhere because of the sound roadways. There are also airports & rail stations in nearby main cities. 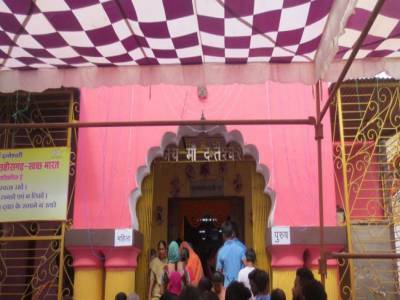 The Danteshwari Temple gets decorated glamorously during Dusshera every year when devotees visit in great numbers. Note - Jeans and trousers are not allowed inside the main temple. Males can get dhotis to wear at the temple entrance and females preferably wear suits or sari. 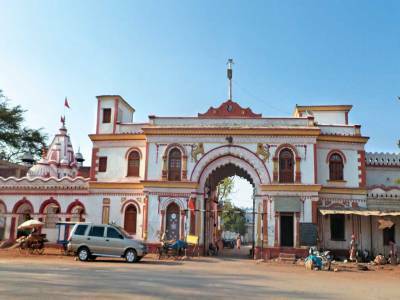 Accessibility - Cab, Taxi and bus service easily available from Jagdalpur city to reach the Danteshwari Temple. 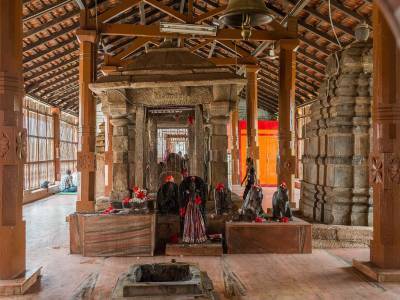 Get quick answers from travelers who visit to Danteshwari Temple.